When you need a Toyota Prius that will go places and have enough room to carry massive amounts of cargo, you’ll love the 2016 Toyota Prius V. This vehicle is stylish apart from the other Toyota Prius models and has lots of space for cargo. 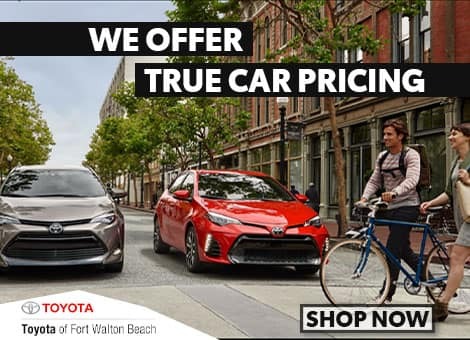 At Toyota of Fort Walton Beach, you’ll find great deals on all models of the 2016 Toyota Prius V! 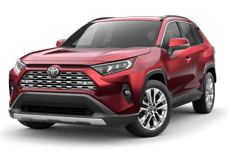 Located at 5735 Coliseum Blvd, Alexandria, LA, Toyota of Fort Walton Beach serves Opelousas, Lafayette, Leesville, Ruston, and Natchitoches, LA. The 2016 Toyota Prius V has an MPG Rating of 40 City / 44 HWY. Features include seven airbags, panoramic view moonroof, Eco drive mode with screen, and excellent safety features. There is an assortment of colors to select from. They include Red, Blue, white, silver, black, gray, light blue, brown, and teal. The interior model designs are black. The 2016 Prius V is equipped with a 98HP 1.8L 16-Valve engine with 17" wheels. Standard safety features include front / side airbags, driver and front passenger whiplash lessening seats, Child-protector rear door locks, auto high beam, vehicle proximity notification system, tire-pressure monitor, Hill start to assist, lane departure alert, Hill start to assist control, and roadside assistance. In addition to the safety features, the 2016 Prius V has an impressive list of interior features as well! Features include automatic climate control with dust and pollen filter, 6.1 LCD touch screen, AM/FM/ CD player with MP3 playback, six speakers, Bluetooth wireless capabilities, integrated backup camera fabric-trimmed 6-way adjustable driver seat, 60/40 split fold-down rear seat, power windows, power locks, day/night rearview mirror, smart key system on driver's door, center console with storage compartment, passenger-side glove compartment box, one 12V auxiliary power outlet, two front / rear cup holders, cargo area tonneau cover, rear dome light and cargo area light! 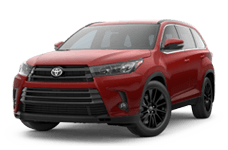 At Toyota of Fort Walton Beach you'll find a great team of sales representatives who are attentive to their clients. When you need a 2016 Toyota Prius V, Toyota of Fort Walton Beach is here to assist you in every way possible. Located at 1006 N. Beal PKWY, Fort Walton Beach, FL, Toyota of Fort Walton Beach serves Pensacola, Panama City, Wright, and Navarre, FL.